The fans could enjoy quite many interesting games in the last round. The round ended with change at the leadership position, favorites losing the games, games ending by tiny margin and even winless team recording their first victory. Here is the last round review presented by ESL. PBA round 5 caused change at the leadership position. Second defeat of league's leader Rain or Shine (7-2) against fifth ranked TNT Ka Tropa (4-3) 100-92 was the most important game of the last round. It ended at the same time the five-game winning streak of Rain or Shine. TNT Ka Tropa looked well-organized offensively handing out 25 assists. 25 personal fouls committed by Rain or Shine helped opponents get some easy free throw opportunities. Point guard Jayson Castro-William (180-86) orchestrated the victory with a double-double by scoring 20 points, 7 rebounds and 10 assists. Forward Jeth-Troy Rosario (201-92) contributed with 20 points and 6 rebounds for the winners. Guard Maverick Ahanmisi (188-91, college: Minnesota) answered with 14 points and 7 rebounds for Rain or Shine. Both coaches used bench players which allowed the starters a little rest for the next games. TNT Ka Tropa moved-up to third place, which they share with SM Beermen. Rain or Shine at the other side dropped to the second position with two games lost. They were replaced at the leadership position by Phoenix. Rain or Shine will play next round against Columbian Dyip trying to make it back to the top of the standings. TNT Ka Tropa will try to continue on its current victory against eleventh ranked Blackwater Elite in Caloocan City. The game had a very big importance for second-ranked Phoenix as it allowed them to take a leadership position. Phoenix edged 8th ranked Global Port in Quezon 98-96. Center Justin Chua (198-89) stepped up and scored 19 points and 9 rebounds for the winners and Matthew Wright chipped in 22 points and 5 assists (was perfect 8-for-8 from the free throw line). Naturalized Tongan center Moala Tautuaa (200-89, college: Chadron St.) responded with 22 points, 8 rebounds and 7 assists. Both coaches tested many bench players in such tough game. As mentioned above they took over a top position. Global Port lost third consecutive game. They keep the eighth place with three games lost. Global Port will play next round against strong SM Beermen trying to get back on the winning streak. Phoenix will try to continue on its current victory against twelfth ranked Hotshots at Pasig City. An interesting game was also a 26-point tough road defeat of 4th ranked Ginebra Kings in a game in Makati versus Alaska Aces (#7) 104-78. It ended at the same time the two-game winning streak of Ginebra Kings. Christopher Banchero nailed 20 points, 6 rebounds and 8 assists for the winning side. Greg Slaughter came up with a double-double by scoring 15 points and 14 rebounds for Ginebra Kings in the defeat. The winner was already known earlier in the game, so both coaches allowed to play the bench players saving starting five for next games. Alaska Aces (3-2) moved-up to fifth place. Loser Ginebra Kings dropped to the sixth position with three games lost. Alaska Aces will meet at home bottom-ranked Hotshots (#12) in the next round and are hoping to win another game. Ginebra Kings will play against the league's leader Phoenix (#1) in Quezon and hope to secure a win. Hotshots' fans can celebrate the first win of their team after three consecutive losses. The victory is especially important as it came on the road game in Manila, where they defeated Meralco Bolts (2-5) 92-86. The best player for the winners was Jiovani Jalalon who scored 19 points, 9 rebounds and 4 assists. Both coaches allowed to play bench players saving starting five for next games. Hotshots maintains twelfth place with 1-3 record. It was Meralco Bolts' fourth loss in a row. They keep the tenth position with five games lost. Hotshots' next round opponent will be league's leader Phoenix in Quezon and it will be quite challenging to get another victory. The game in Makati was also quite interesting. Second ranked Phoenix (7-1) played at the court of 7th ranked Alaska Aces (3-2). Phoenix defeated Alaska Aces 94-80 on Friday. Calvin Abueva orchestrated the victory with a double-double by scoring 21 points and 16 rebounds. Both coaches allowed to play bench players saving starting five for next games. Phoenix keeps a position of league leader. Loser Alaska Aces dropped to the fifth place with two games lost. Phoenix will face bottom-ranked Hotshots (#12) in Pasig City in the next round which should be an easy win for them. Alaska Aces will play at home against Hotshots (#12) and hope to win that game. In the last two games of round 5 Blackwater Elite beat Columbian Dyip on the road 106-100. Meralco Bolts lost to Columbian Dyip on its own court 85-86. The most impressive performance of 5th round was 23 points and 5 assists by Simon Enciso of Alaska Aces. Hotshots' fans can celebrate the first win of their team after three consecutive losses. The victory is especially important as it came on the road game in Manila, where they defeated Meralco Bolts (2-5) 92-86. They outrebounded Meralco Bolts 60-38 including a 23-11 advantage in offensive rebounds. The best player for the winners was point guard Jiovani Jalalon (175-92) who scored 19 points, 9 rebounds and 4 assists. Power forward Ian-Paul Sangalang (201-91) chipped in a double-double by scoring 12 points and 16 rebounds. Four Hotshots players scored in double figures. Guard Chris Newsome (187-90, college: N.Mexico Highlands) produced 22 points, 7 rebounds and 7 assists and point guard Baser Amer (180-92) added 18 points and 7 rebounds respectively for the hosts. Both coaches allowed to play bench players saving starting five for next games. Hotshots maintains twelfth place with 1-3 record. It was Meralco Bolts' fourth loss in a row. They keep the tenth position with five games lost. Hotshots' next round opponent will be league's leader Phoenix in Quezon and it will be quite challenging to get another victory. The game had a very big importance for second-ranked Phoenix as it allowed them to take a leadership position. Phoenix edged 8th ranked Global Port in Quezon 98-96. Phoenix forced 19 Global Port turnovers. Strangely Global Port outrebounded Phoenix 55-41 including 21 on the offensive glass. Global Port was plagued by 30 personal fouls down the stretch. Center Justin Chua (198-89) stepped up and scored 19 points and 9 rebounds for the winners and naturalized Canadian guard Matthew Wright (193-91, college: St.Bonaventure) chipped in 22 points and 5 assists (was perfect 8-for-8 from the free throw line). Naturalized Tongan center Moala Tautuaa (200-89, college: Chadron St.) responded with 22 points, 8 rebounds and 7 assists and naturalized American forward Sean Anthony (193-86) scored 20 points, 9 rebounds and 4 assists. Both teams had five players each who scored in double figures. Both coaches tested many bench players in such tough game. As mentioned above they took over a top position. Global Port lost third consecutive game. They keep the eighth place with three games lost. Global Port will play next round against strong SM Beermen trying to get back on the winning streak. Phoenix will try to continue on its current victory against twelfth ranked Hotshots at Pasig City. There was a surprise result when eleventh ranked Blackwater Elite (2-6) beat higher ranked Columbian Dyip (3-5) in Makati City 106-100 on Friday. Blackwater Elite made 39-of-51 free shots (76.5 percent) during the game, while Columbian Dyip only scored thirteen points from the stripe. They outrebounded Columbian Dyip 49-37 including a 36-24 advantage in defensive rebounds. Blackwater Elite looked well-organized offensively handing out 21 assists. Columbian Dyip was plagued by 33 personal fouls down the stretch. Forward Allein Malicsi (190-87) orchestrated the victory by scoring 29 points, 6 rebounds and 5 assists. 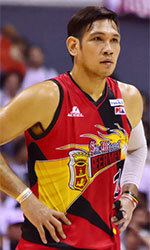 Forward Rey-Mark Belo (191-93) contributed with 22 points and 9 rebounds for the winners. Guard Jaymar Perez (188-93) answered with 22 points and 8 rebounds and American guard Rashawn McCarthy (185-89, college: Old Westbury) added 18 points and 7 assists in the effort for Columbian Dyip. Five Blackwater Elite and four Columbian Dyip players scored in double figures. Both coaches allowed to play bench players saving starting five for next games. Blackwater Elite maintains eleventh place with 2-6 record. Loser Columbian Dyip dropped to the seventh position with five games lost. Blackwater Elite will face higher ranked TNT Ka Tropa (#3) in Makati in the next round and it will be quite challenging to get another victory. Very expected game when 10th ranked Meralco Bolts (2-5) were edged by sixth ranked Columbian Dyip (3-5) in Manila 86-85 on Wednesday. Columbian Dyip forced 20 Meralco Bolts turnovers. American guard Rashawn McCarthy (185-89, college: Old Westbury) saved the victory by scoring 30 points and 8 rebounds. Forward Glenn Khobuntin (191-91) contributed with 14 points and 5 rebounds for the winners. Naturalized American Clifford Hodge (196-88, college: Hawaii Pacific) answered with 14 points, 9 rebounds and 6 assists and guard Chris Newsome (187-90, college: N.Mexico Highlands) added 17 points and 5 rebounds in the effort for Meralco Bolts. Four Meralco Bolts players scored in double figures. Both coaches allowed to play bench players in such tough game. Despite that victory Columbian Dyip went down to seventh position due to points difference. Meralco Bolts lost fourth consecutive game. They keep the tenth place with five games lost. Columbian Dyip will face league's second-placed Rain or Shine in Manila in the next round and it will be quite challenging to get another victory. Meralco Bolts will play on the road against Global Port (#8) in Pasig and it may be a tough game between close rivals. The game in Makati was also quite interesting. Second ranked Phoenix (7-1) played at the court of 7th ranked Alaska Aces (3-2). Phoenix defeated Alaska Aces 94-80 on Friday. They outrebounded Alaska Aces 52-38 including a 44-29 advantage in defensive rebounds. Phoenix looked well-organized offensively handing out 22 assists. Great defensive blocking was one of the keys in this match when Phoenix made 7 blocks. Alaska Aces were plagued by 28 personal fouls down the stretch. Naturalized American forward Calvin Abueva (190-88) orchestrated the victory with a double-double by scoring 21 points and 16 rebounds. 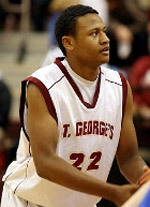 Naturalized Canadian guard Matthew Wright (193-91, college: St.Bonaventure) contributed with 20 points for the winners. Four Phoenix players scored in double figures. Guard Jeron-Alvin Teng (190-94) answered with 23 points and 9 rebounds and M Ayaay (191-93) added 13 points in the effort for Alaska Aces. Both coaches allowed to play bench players saving starting five for next games. Phoenix keeps a position of league leader. Loser Alaska Aces dropped to the fifth place with two games lost. Phoenix will face bottom-ranked Hotshots (#12) in Pasig City in the next round which should be an easy win for them. Alaska Aces will play at home against Hotshots (#12) and hope to win that game. PBA round 5 caused change at the leadership position. Second defeat of league's leader Rain or Shine (7-2) against fifth ranked TNT Ka Tropa (4-3) 100-92 was the most important game of the last round. It ended at the same time the five-game winning streak of Rain or Shine. TNT Ka Tropa looked well-organized offensively handing out 25 assists. 25 personal fouls committed by Rain or Shine helped opponents get some easy free throw opportunities. Point guard Jayson Castro-William (180-86) orchestrated the victory with a double-double by scoring 20 points, 7 rebounds and 10 assists. Forward Jeth-Troy Rosario (201-92) contributed with 20 points and 6 rebounds for the winners. Guard Maverick Ahanmisi (188-91, college: Minnesota) answered with 14 points and 7 rebounds and James Yap (190-82) added 18 points in the effort for Rain or Shine. Both teams had four players each who scored in double figures. Both coaches used bench players which allowed the starters a little rest for the next games. TNT Ka Tropa moved-up to third place, which they share with SM Beermen. Rain or Shine at the other side dropped to the second position with two games lost. They were replaced at the leadership position by Phoenix. Rain or Shine will play next round against Columbian Dyip trying to make it back to the top of the standings. TNT Ka Tropa will try to continue on its current victory against eleventh ranked Blackwater Elite in Caloocan City. An interesting game was also a 26-point tough road defeat of 4th ranked Ginebra Kings in a game in Makati versus Alaska Aces (#7) 104-78. It ended at the same time the two-game winning streak of Ginebra Kings. Alaska Aces looked well-organized offensively handing out 23 assists. Point guard Christopher Banchero (186-90, college: Seattle Pacific) nailed 20 points, 6 rebounds and 8 assists for the winning side and American guard Simon Enciso (180-91, college: Notre Dame Namur) accounted for 23 points and 5 assists. Center Greg Slaughter (216-88) came up with a double-double by scoring 15 points and 14 rebounds and center Japeth Aguilar (206-87, college: W.Kentucky) added 17 points and 11 rebounds respectively for Ginebra Kings in the defeat. Four Ginebra Kings players scored in double figures. The winner was already known earlier in the game, so both coaches allowed to play the bench players saving starting five for next games. Alaska Aces (3-2) moved-up to fifth place. Loser Ginebra Kings dropped to the sixth position with three games lost. Alaska Aces will meet at home bottom-ranked Hotshots (#12) in the next round and are hoping to win another game. Ginebra Kings will play against the league's leader Phoenix (#1) in Quezon and hope to secure a win.